There is much anticipation for Leicester Curve's Christmas 2014 offering. The Sound Of Music will be Paul Kerryson, the Curve's much lauded Artistic Director's swansong show. Even more than Kerryson's expected impact upon this classic musical, is his choice of leading lady to play Maria. Laura Pitt-Pulford, an actor who is amongst the cream of her generation is to play the lapsed nun/impetuous governess and her casting is an inspired decision. This Mountview graduate (the class of 2005) has consistently delivered acclaimed excellence in every part she has played and whether it be working in the fringe or in the highest echelons of the subsidised sector, her commitment to her craft is inspirational. As the news was announced of her being cast as Maria, I caught up with Laura to find out a little more about this gifted performer. 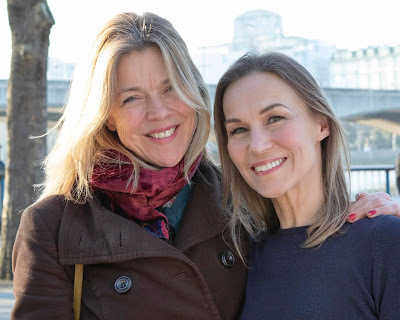 Growing up away from the London bubble (her family hail from Rugby) it was to be some months after leaving Mountview before she got her first break in commercial theatre, as Young Heidi in Sondheim's Follies at the Royal and Derngate in Northampton. It says much for Pitt-Pulford that her debut professional gig was a Sondheim - the man famously (and ingeniously) creates demanding roles, a challenge that she more than matched. Enviably, the last few years have rarely seen Pitt-Pulford out of work, with the Southwark Playhouse, one of London's leading fringe venues, proving to be a springboard for her career. Producer Danielle Tarento spotted her to play Lucille Frank, the leading lady in Jason Robert Brown's scorching musical set around a travesty of justice that occurred in the Southern state of Georgia shortly after the American Civil War. 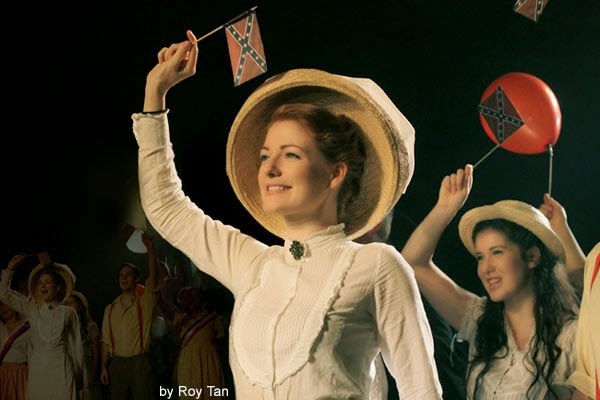 It had been barely five years since Parade had played at London's Donmar (achieving the deserved recognition that had eluded it on Broadway), yet under Thom Southerland's direction the Tarento production was to receive its own critical acclaim, in no small measure due to Pitt-Pulford's heroic Southern belle (alongside her leading man Alastair Brookshaw). She had arrived in London. Fast forwarding a year saw the Tarento-Southerland partnership stage Jerry Herman's Mack & Mabel, another difficult even if beautifully scored show. Pitt-Pulford was Tarento's only choice to play Mabel Normand - but there was a hiccough. Already playing the lead in Sweet Charity at Belfast's MAC, Pitt-Pulford was only to be allowed a two week rehearsal slot for the role and had to parachute in to the company when they were already half way through their rehearsals. Suffice to say, her preparation for the role had been meticulous with the show going on to be one of London's sell out successes in the summer of 2012. But Pitt-Pulford is no stranger to flying (sometimes literally) by the seat of her pants. 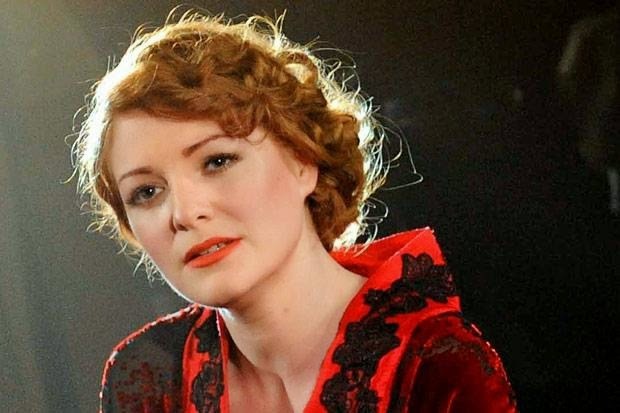 A colleague and good friend tells of how at the Curve on the press night of Paul Kerryson's wonderfully staged Piaf, Pitt-Pulford, playing working girl Toine, was required to have draped herself, spread-eagled over a chaise-longue, clad in little more than her character’s working clothes of suspenders and underwear. As Beginners were being called, a last minute costume check by the actress led her to realise she was knicker-less and even worse, the dressing rooms were an Olympic sprint away through numerous security doors. Ever the consummate professional, the actress made it on stage, just in time, ensuring Toine's opening appeared exactly as planned. Kerryson has previous with Pitt-Pulford. Before Piaf, she was his Irene Molloy alongside an award winning Janie Dee in Hello, Dolly! whilst last year Marianne Elliott cast Pitt-Pulford in the National Theatre's The Light Princess, where aside from sporting some stunning footwear, she added puppetry to her skills and still speaks in admiration of Elliott's visionary approach to Tori Amos' ground-breaking musical. A performer who is never afraid to tackle new work, Pitt-Pulford has recently thrown herself into two of up-coming producer Katy Lipson's shows. A cracking UK premier of the Sondheim pot-pourri Marry Me A Little saw some glorious Manhattan-ite interaction with Simon Bailey, whilst her Margaret in Charles Miller's The Return Of The Soldier saw her give a sensitive exploration of the layers of a very complex woman caught up in the aftermath of PTSD during the First World War. But it is her Maria that right now is so eagerly awaited. Laura tells me that she "just can't wait to put my stamp on it. I grew up on the film, love it, love everything about it. Such a fabulous story and she is such an interesting character." The re-union of Kerryson with choreographer Drew McOnie, who together wowed Leicester and the wider the theatre world with a sensational Chicago last Christmas, only adds to the anticipation surrounding the Rogers and Hammerstein classic. But it is the inspired casting of Laura Pitt-Pulford as the intriguing postulant that is likely to underscore what is sure to be a sell out festive treat.